Mukran Port is a deep-water port in the north-east of Germany. Its well-developed infrastructure served as a reliable basis when several offshore wind farms were under construction in the Baltic Sea. 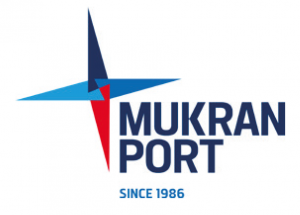 With ideal conditions both in nautical and geographical terms, Mukran Port has become a base for off shore installations and a service hub for operations and maintenance. Its water depth of 11.50 m make the terminal the perfect port of call for highly specialised offshore vessels such as jack-up barges, floating cranes, and cable-laying vessels. Access to the port is not restricted by locks, bridges or tides and short distances between Mukran Port and offshore wind farms allow significant cost savings for operators and suppliers – just as the easy approach to the port without compulsory pilotage or tug services. More than 210 wind turbines, 280 jacket piles, 70 jacket foundations, 60 transition pieces and 76km subsea cables have been transhipped via Mukran Port since 2014. During construction of the wind farms EnBW Baltic II, Wikinger, and Arkona, the port contributed with its infrastructure and extensive know-how to more than 1000MW of green offshore energy harvested in the Baltic Sea. Upon completion of the second multipurpose terminal, Mukran Port has doubled its offshore terminal area to 250,000m². The quay length of 750m on both terminals including heavy-duty platform, a surface load up to 50t/m² and an adjacent Ro-Ro ramp are further improvements to the infrastructure. The rail extension to the quay site enables delivery of subsea cables by rail and the near-quay storage of subsea cables allows a quick and easy transhipment to cable-laying vessels. In 2018 a new record was set for the installation of the Arkona wind farm. “The excellent offshore infrastructure of the port in Mukran […] has made its contribution to this. The offshore wind farm Arkona sets a benchmark for the offshore wind business in Germany and beyond,” said Christian Pegel, State Minister for Energy and Infrastructure. As the complexity of the projects is growing with future wind turbine sizes, the port management has specialised in fi nding tailor-made solutions to meet customer requirements. The on-going construction of the 400-metre-long quay along the breakwater demonstrates steady progress and future oriented port development. In addition to a wide range of associated port services, Mukran Port has also become attractive for various industrial settlements. Mukran Port recently completed the works on a separate O&M harbour which is situated within the boundaries of the port area. 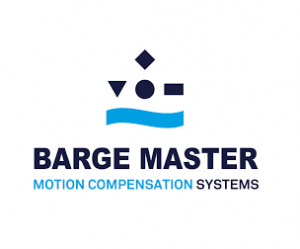 Alongside three quays, the maintenance and service port offers sufficient facilities for CTVs, tugboats, and all types of smaller service vessels. Two major companies from the renewable energy sector have already signed their lease contracts to maintain and operate their wind farms for the next 25 years.